On Wednesday March 8, 2017 at 10:16 a.m., Galloway Township Police responded to Absegami High School for the report of a lockdown due to suspicious pictures on social media of students and weapons that were possibly inside the school. Within minutes of arriving the students in question were located and detained by Galloway Police in cooperation with Greater Egg Harbor Regional Staff. All students and staff were fully cooperative while the investigation was on-going. Explosives trained K9 dogs from Stockton University Police Dept., Hamilton Twp. Police Dept., Egg Harbor Twp. Police Dept. and the Gloucester County Sheriff’s Dept. cleared the school for any related weapons. The school was clear and no weapons were located on school property. No one was injured during the course of the lockdown which lasted approximately two (2) hours. Shortly after lifting the lockdown another student, 18-year old Jil Patel of Galloway Township sent out a group text to students creating another false public alarm which was tended to quickly and he was arrested without incident on school property. Also charged was a16-year old female, named K.S. with Creating a False Public Alarm and 17-year old male named J.A. charged with Creating a False Public Alarm. 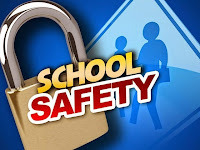 Anyone with information on the aforementioned incidents or any incidents at Absegami High School involving potential threats or harm to the school is asked to contact the Galloway Township Police Department at (609) 652-3705 ext 344 and or contact via anonymous confidential tip through our Facebook page and / or Twitter accounts at @gallowaypd. As always the Galloway Township Police also receive tips from Atlantic County Crime Stoppers @ (609) 652-1234 or 1-800-658-TIPS.